Brodi Ashton: Can you Name That Literary Character? And Win an ARC of EVERNEATH! Well, happy belated birthday to you! I'm pretty jealous of your nailpolish. 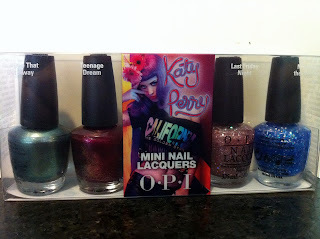 I really want to get that Katy Perry set, but the responsible part of me keeps saying "what do you need MORE nailpolish for?!" So until then... sigh. No Katy Perry polish for me. Enjoy thoug! It's super pretty. Yes, Mr. Darcy is way too easy! Who else can compete against him? haha, i totally guessed correctly. AHAHAHAHAHAHA I totally guessed it! How could it even BE anyone else? Happy birthday Brodi!!!!! And many Mr. Darcys to you as well! he really is the best:) My mom only shops at all a dollar so we always get awesome gifts too. my mom would've just given me the sunhat. and some anti-aging cream, so be glad you got the nail polish instead. So everyone guessed Darcy? That means we need more hot human boys. I happen to have one in my book... Just sayin'. Brenna- you can never have enough nail polish. Andrea- I totally do all my shopping there too. Ha ha - I didn't realize that was all it took to guess him. It was way to easy. I like the glitter nail polish and I've been meaning to get a big hat like that. Sounds like a fun birthday. I meant to wish you happy birthday yesterday, but I didn't. So, happy belated birthday today. Sadly, I did not guess Darcy, even though I'm now reading P&P on my new droid phone. What about Etienne St.Clair? Jack?!! There's just too many hot guys in literature. Um... wait! Did I just say that? Ignore me. I' m obviously delirious. I'm a relatively new follower and I love reading your fun posts! Happy Birthday! That's awesome that you figured out Mr. Darcy with only those three questions. Sadly, I'm not sure I would have ever gotten it. Maybe the nail polish is meant to decorate the hat? I think the nail polish and the sun hat go well together! Now, you just need a night out on the town, or a day out on the beach, or something. PS--Happy Birthday! I thought I got it in my comment, but I didn't, lol. Oops, I almost said Mr. Knightley, but I meant Darcy! Thanks for the shout out for the contest--you rock! Happy birthday! Of course I guessed Mr. Darcy--who else? Love the game idea! I totally guessed Mr. Darcy! Love that. Yeah, I totally didn't guess right. Love the nail polish, especially the names. That's my favorite part of nail polish. Oh my goodness that whole post was so great! I LOVE the nail polish and hat! Because, lets face it, Brodi has nails and a head. "I'm grateful for the gift, but I just want to know the thought process behind it." I totally get this and why I like gift certificates. Can't go wrong there unless it's to Home Depot. Hubby would like me to give him one of those. One year he gave me Legos. Hahaha, that's hilarious - I immediately thought, "Mr. Darcy." Well done on good questions! I guessed Darcy, and I'm a guy. Is that weird? I'm pretty sure it is, but I suppose it's even more weird that I'm admitting it. Also, can you have your mom call my mom? My birthday is coming up and I'm pretty sure your mom is on to something. the sparkles on your nails scream '14'....maybe your mom is just trying to keep you young at heart? Robin- Why didn't I think of Etienne? Donna- Legos? Seriously? That's kind of... awesome. I have to admit I'm a closet Lego-lover. I put the hat I got from Mom for my birthday with all the other ones she has given me from previous birthdays :). And they are right next to the black towels we got for Christmas that one year...I guess she's getting me back for the back-scratcher I got Dad! Also, probably wise to not admit I've never read Pride and Prejudice. I have seen the movie though! The modern version, with that dude who's not Colin Firth. Anyway, HAPPY BIRTHDAY!! Hope you have an amazing year ahead - a super hot novel coming out sort of helps in making that a reality ;) And you totally have the hottest nails I've ever seen on an author. Love the Everneath cover and love the nails! Happy belated birthday! The nails look awesome! And even if I've read and seen a movie I still didn't guess Mr. Darcy. Oh well. 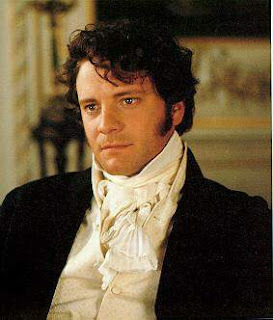 But of course it was Mr. Darcy! Love your Mom's gifts. 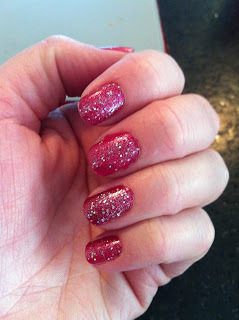 If you don't want the glitter polish, my girls would go gaga over it! 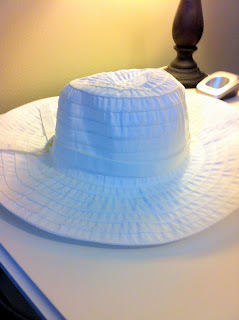 ;) And I like the sun hat! So how else can I get my hands on an ARC copy? How do I rig your contests?